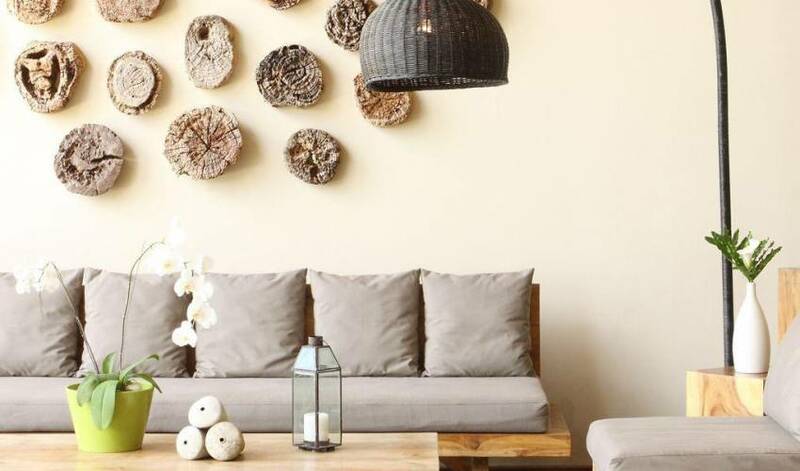 If you seek the essence of a Bali beachfront luxury tropical paradise, this is it! 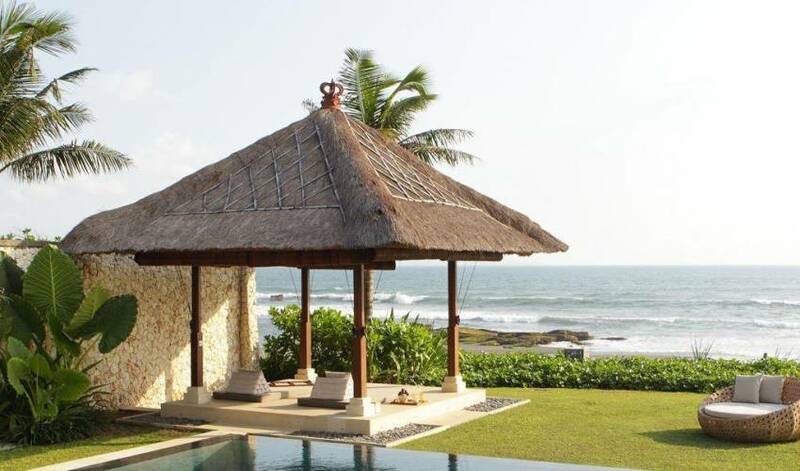 This villa is a Bali beachfront villa which has 30 meters of beach frontage, and three of its five bedrooms have expansive and unimpeded sea views. 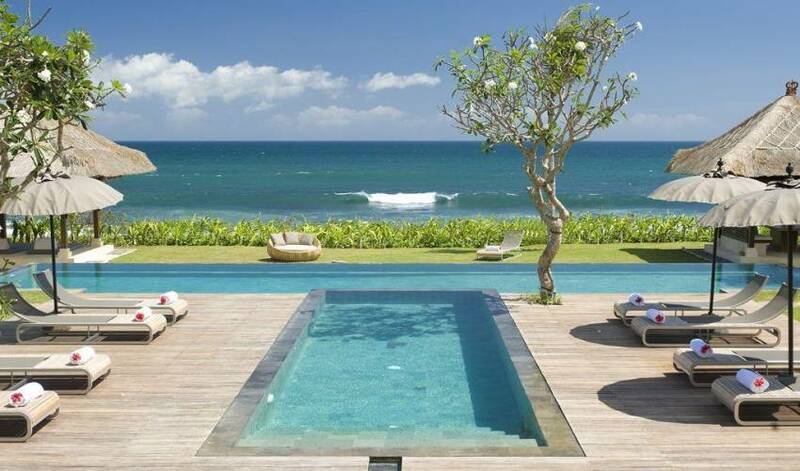 Nowhere in Bali is more beachfront than this. There really is room to move and to breath in the sea air, for this villa is truly expansive. 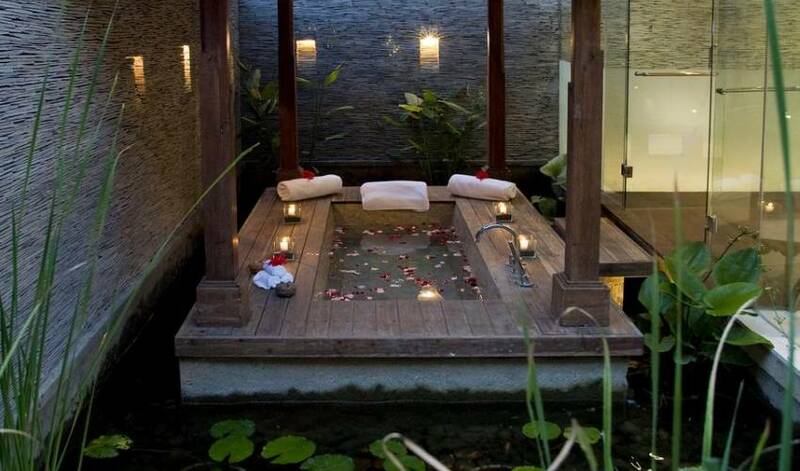 Floor space over two levels is more than 800 square meters, and the garden and pool are a vast 2500 square meters. 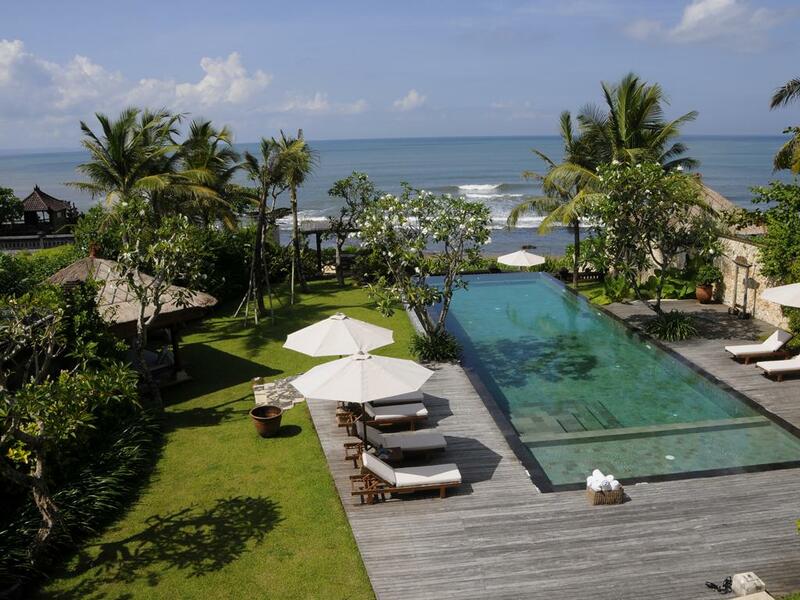 This villa is one of the best beach villa in canggu, a part of luxury beachfront estate. The master suite located on the first floor is both spacious and comfortable with its plush king-size bed, cozy patio facing the pool and beach and ensuite bathroom fitted with a large shower and a soaking bathtub sunk into a Koi pond. Two guest bedrooms are located in the upstairs mezzanine, each having its own king-size bed, ocean-view balcony and ensuite bath with a shower and stone tub. Two one-bedroom garden bungalows, one fitted with a queen bed and the other twin beds, each with its own ensuite bathroom with an outdoor rain shower and indoor shower & bath complete this tropical masterpiece. 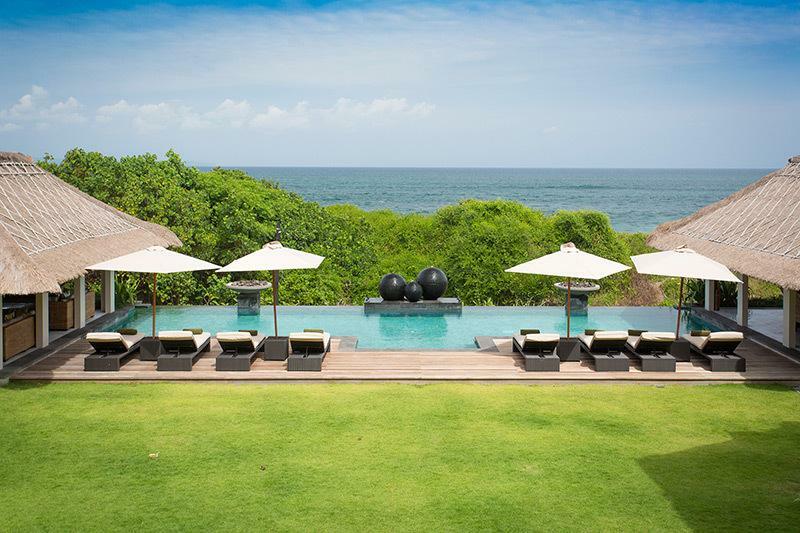 Resting on 2,500sqm of pristine beachfront property, the villa boasts of lush manicured lawns, calming Koi ponds, beachfront relaxation and dining huts, 20-metre lap pool, 40sqm children’s pool, wooden deck with sun beds. 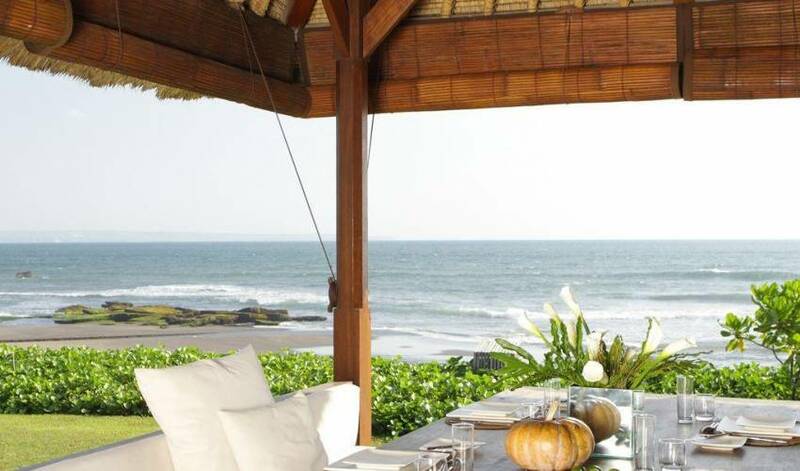 Absolute beachfront location on the shores of Pererenan beach on Bali’s southwest coast in Canggu. 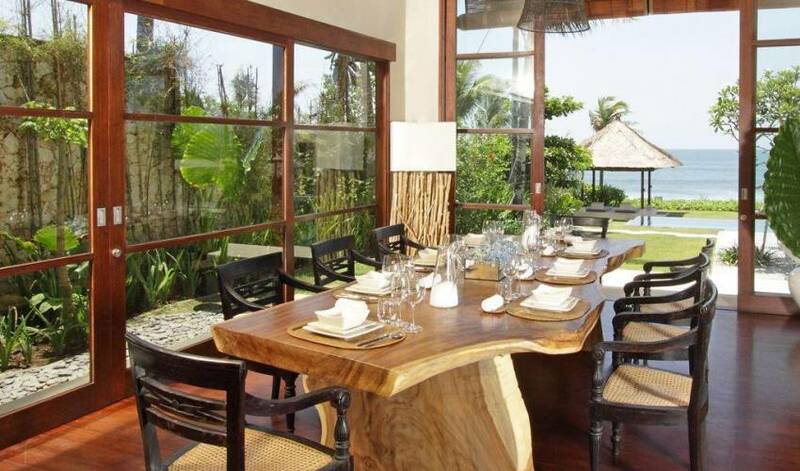 The villa is just 10-15 minutes away from famous tourist destinations like Seminyak and Tanah Lot temple.